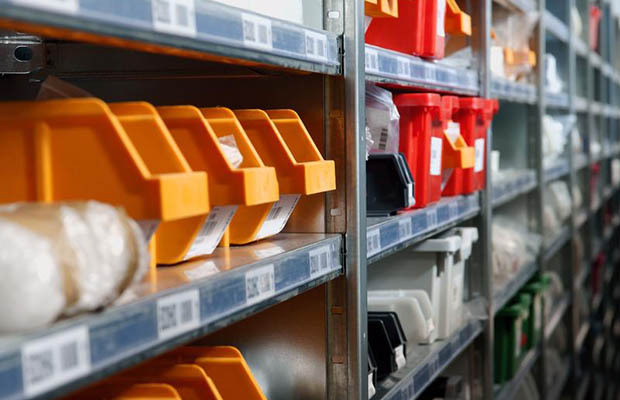 For manufacturers, inventory management can be one of the most complicated aspects of the many roles they have to fill. It defines every other activity internal to a manufacturing company, and is central to the interactions between manufacturers and their customers. Despite its importance, quite a lot of inventory management is done by hand, a system that’s even slower when considered on an industrial scale. The benefits of employing digital applications to inventory management can be enormous though, and well worth the resource investment. 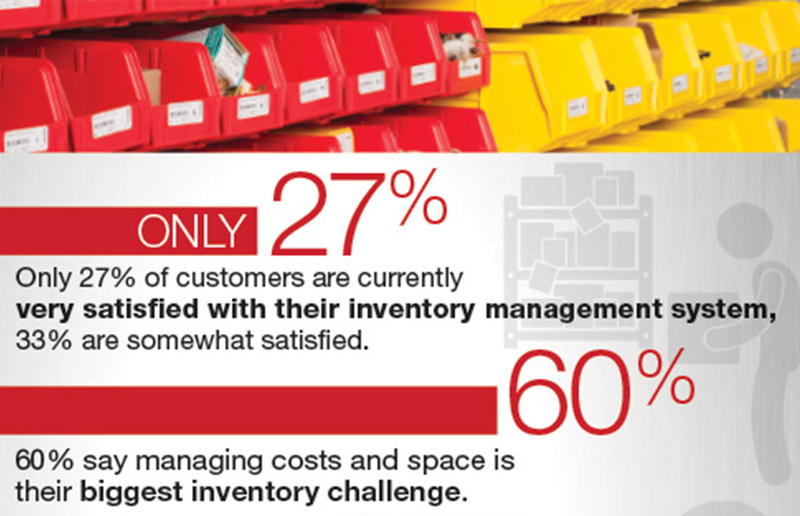 Traditional inventory management is riddled with problems, but they are far from insurmountable. One frequent issue comes from how counting by hand leads to human error creeping in. That would be an issue even on a small scale, but at the industrial scale, the errors can be compounded to a potentially disastrous level. Being careful can limit errors, but that makes the process even more tedious. Add in geographically diverse spaces for manufacturing, storage, and shipment, and the amount of manual data entry and accompanying regular audits is absurdly high. Happily, now that digital technology is ubiquitous in so many places, solutions are a lot more readily available than they were in the past. Those solutions also address how standard inventory management systems are still limited in how adaptable they can be to new and changing circumstances. New clients, new kinds of products, customer-specific pricing and discounts, changes in where manufactured goods are stored, or even just the software used to compile the information so laboriously collected all have to be factored in, and the right technology offers ways to bring that needed flexibility to bear. When a company is known for being quick to adopt new technology, that doesn’t always mean inventory management will absorb anything novel automatically. A combination of technology and creativity is necessary to truly shake up old-fashioned systems for the better. Digital applications that can automate a business’s workflow provide the opportunity to do exactly that, transforming the way companies manage their inventory, with far-ranging improvements in other aspects of how those companies operate. At the most basic level, applications can perform tasks like automatic data collection. That means information about what’s on hand, how it compares to what the demand is, where it’s being kept, and other crucial details, can all be gathered at high speed with automatically reading barcodes to mark everything moving in and out of an inventory. By eliminating all or nearly all of the errors in counting, lost items can be rediscovered, and damaged goods or equipment that needs revisiting can be noted and taken care of in a timely fashion. Since it’s all digital anyway, the information collected in one place can be added to information collected elsewhere close to instantaneously, allowing smoother coordination (and avoiding empty or overfull inventories) all in one stroke. All of that data has another utility: analysis. With enough data, trends can start to be discerned. Using past trends as a guide, it’s possible to make predictions about the future, too. For inventory management, that means being able to plan ahead and get goods to where they are likely to be in high demand, while ending the waste of time, money, and space on unused stock. The savings come in the form of administration as well. Digital solutions are simply cheaper, and organizations can do a lot more with fewer resources. It means those working on inventory don’t have to expend nearly as much energy on counting and can focus on more complex tasks. This leads to a company saving money with every item that is no longer lost, damaged, or misplaced. There is sometimes a reluctance to perform any kind of large scale technological upgrades due to the annoying transition period, where piecemeal changes make for an uneven system, worse than before the upgrade began. But without improvement to the basic task of counting, storing, and moving inventory, an entire organization’s growth can be stunted, due to its inability to evolve. Digital, cloud-based applications bring a much-needed flexibility to the equation. They are much easier to implement than an overhaul of a server for instance, acting as a useful layer on top of a company’s existing IT. And, because automating workflow is the same at the core of any industry, they are infinitely adaptable. They can be customized based on industry or company, and adjusted down to the individual level. Digital applications can play a vital part in improving a company. Removing the friction from data collection can utterly transform the efficiency and agility of a company as analysis of that information reveals insights that would otherwise be hidden. With the right kind of digital applications handling inventory management, companies can manufacture their future. James Quigley is CEO and Co-Founder of GoCanvas. This article was from Manufacturing Business Technology and was legally licensed through the NewsCred publisher network. Please direct all licensing questions to legal@newscred.com.